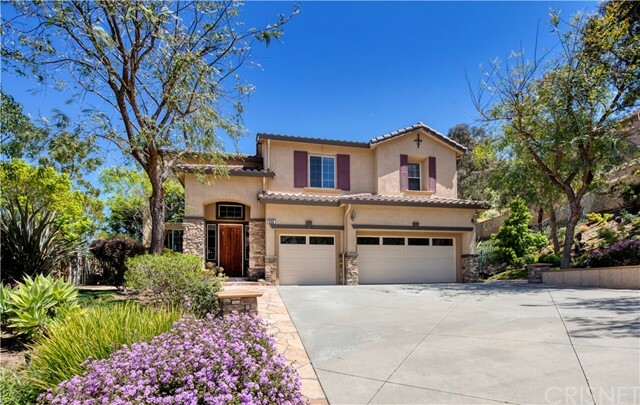 All Newbury Park homes currently listed for sale in Newbury Park as of 04/26/2019 are shown below. You can change the search criteria at any time by pressing the 'Change Search' button below. "VIEW VIEW VIEW The Iconic Boney Mountain VIEW house in Dos Vientos. Sweeping, Panoramic, 360 degree VIEW of the Santa Monica Mtns and Old Boney Mountain. Endless skies. Sunrise and Sunset. Feels as if you are floating on a cloud. ''The house'' at the end of the cul-de-sac, a premium 1/2 acre, private, no neighbors, perched on it's own private knoll. The VIEW, the setting, cannot be captured in photos, nor can it be duplicated. The sheer expanse is hard to put into words, It's truly ''one of a kind''.Popular La Entrada single story model with 4 car garage, 4 bedrooms, and an office. True pride of ownership is found here. Wood floors. Open Kitchen with breakfast bar, upgraded cabinets, granite counters, black appliances. Instant hot water. Low-E glass windows. Central Vacuum. Custom patio cover runs the width of the house out back. Built-in BBQ. Custom flagstone spa with waterfall. Forever and ever VIEWS. Appointment with Barb, not to be missed. Truly spectacular." "Nestled among the hillside, backing to tranquil open space, this luxurious 5BD 4.5BA plus loft & office in gated Dos Vientos Estancia Estate offers spectacular mountain views & over 4,000 sq.ft. The inviting courtyard welcomes you to this highly upgraded home featuring an elegant living room with soaring beamed ceilings, formal dining room with fireplace, gorgeous hardwood floors, designer crown moldings, custom baseboards, plantation shutters, recessed lighting, downstairs bedroom with en suite bath, plus a 3-car garage. Large gourmet kitchen has it all - gorgeous quartz counters, huge center island, custom cabinetry, stainless steel appliances, warming drawer, built-in refrigerator, and opens to a large family room with built-in media center & cozy fireplace. Spacious Master suite offers an incredible private retreat, with his/her walk-in closets, separate sitting area, fireplace, large master bath that feels like you've just stepped into a hotel spa. Entertain out in a resort style backyard complete with sparkling pool & spa, covered patio, and built-in BBQ with bar, solar. Prime location, on over 1/2 an acre with an amazing private yard positioned at the end on a cul-de-sac. This exquisite home shows pride of ownership, is turnkey, move in ready!" "Welcome home to this fabulous remodeled Deer Ridge home! This home has been upgraded throughout. The gourmet kitchen includes Caesar stone calcutta nuvo countertops and caesar stone cloudburst countertops paired with a gorgeous backsplash. Other kitchen features: custom cabinets with custom pullouts, new stainless steel appliances and eat in kitchen with custom built in seating. The open floor plan is decorated with hardwood flooring, Restoration Hardware chandeliers, recessed LED and Lutron lighting throughout the home. The cozy, open living room includes a fully insulated wine cellar and plenty of room for entertaining. 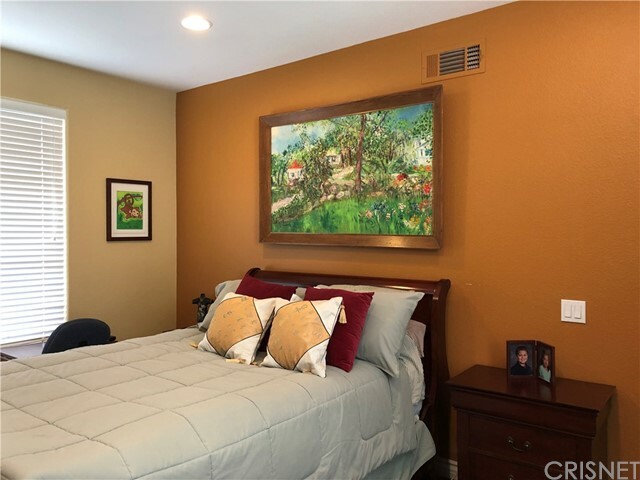 Other desirable features include: downstairs bedroom with bathroom, speakers throughout house and outside, updated bathrooms, and a large bonus room off Jack and Jill bedrooms. The entertainers outdoor space features new beautiful landscaping and lighting, large in-ground SPA and water feature, covered patio, and fabulous mountian views. Schedule a private showing today to experience all this home has to offer!" 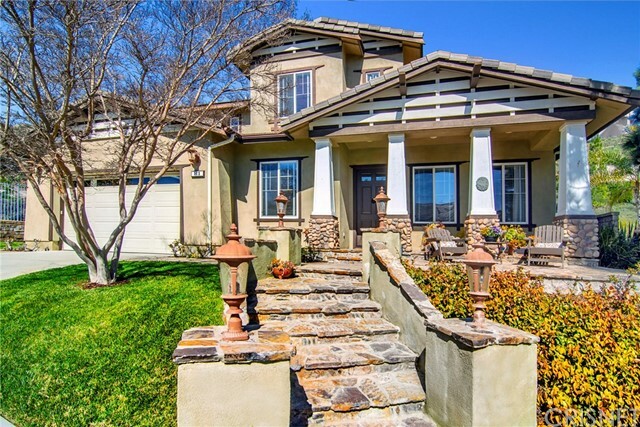 "Ideally situated on a quiet cul de sac street in the guard gated enclave of Rancho Conejo. Built in 2005, this Spanish inspired design offers 3,782 square feet on a large 11,472 square foot lot with private pool and spa, fantastic views & privacy. Features include 4 bedrooms 4.5 bathrooms, formal living & dining rooms, large family room open to a beautiful kitchen, open loft with separate study area, high ceilings, shutters throughout, 2 fireplaces, 2 car & separate 1 car garage with direct access and solar panels. The kitchen features include granite counters, island with additional sink, GE Monogram stainless steel appliances, 6 burner stove top, double oven, built in fridge, dishwasher, microwave, walk-in & butler's pantries. The inviting master suite has French doors & balcony that overlook the entertainers' yard with a spectacular view, jetted tub, large shower, dual sink, vanities and walk-in closet. Additional bedrooms are 1 en-suite bedroom, 2 with a shared bathroom (Jack & Jill) & upstairs laundry room. Additional room off the front door with a full bath which could be a downstairs bedroom. Travertine tile & wood flooring on the upper floor including the beautiful wrought iron staircase. Easy access to open space trails and community park." 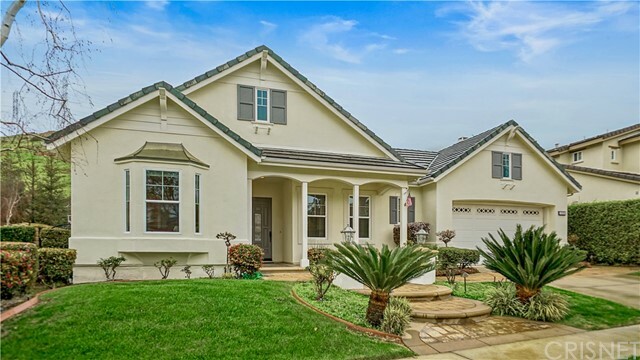 "Enter the enclosed front courtyard of this single story home and the wow factor begins. Through the doors of this large home you find a beautiful open concept with high ceilings and windows/doors galore. First you will see the formal living and dining rooms with a fireplace centerpiece.The massive sunny kitchen opens to the cozy family room with another fireplace.The master suite is a site to see. It is filled with light and a door to the backyard as well as a bathroom big enough to do cartwheels in. This master's closet can hold his AND her clothes.There are three other nice sized bedrooms that are service by a large full bathroom. In addition there is a lovely powder room. BUT the wow factor jumps off the charts when you step outside - which you can do from any of the 5 different living spaces..Private and stunning!! It is truly a paradise. You will find an outdoor BBQ area, lots of lush landscaped areas, a pool and spa AND the most amazing outside living space with TV, speakers and another fireplace.You may never want to leave this Staycation home!"